Largo and his friend Marble have returned from Walklands Farm and Largos weight has improved. 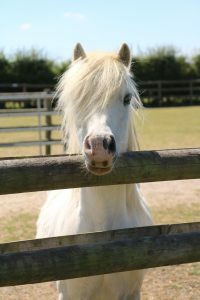 Largo was pleased to be at Walklands Farm as he could enjoy the grass; however, he is very excited to be back at the Visitor Centre in time for the Easter Holidays so he can see the visitors he has missed over the last month. Largo has temporarily moved to Walklands Farm with his friends as they can’t eat forage. By moving up to Walklands Farm it allows them to have access to more grass which is better for their diet. 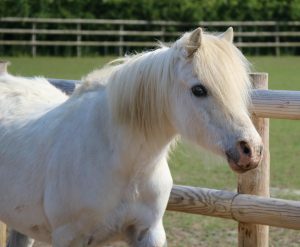 Once the grass begins to grow again, Largo and his friends will return back to the Visitor Centre to be with the rest of the adoption stars. 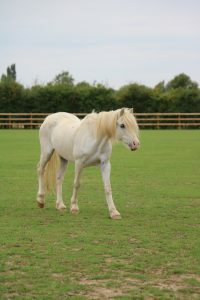 Largo and his friends have moved to a field where the grass is a bit longer, so they are enjoying that very much. However, Largo’s friends are also being fed now, which means that Largo has to wait his turn at the gate for his food – he is not quite so pleased about that but is getting used to it. 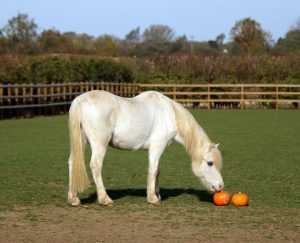 Winter is Largo’s favourite time of year because the grass is shorter which means he needs additional feed at breakfast, lunch and tea time! He is always very keen to see his meal arrive and will often run across the field in excitement when staff get there with it, throwing in a cheeky buck in excitement too on some days! At night, staff often see Largo retreating to the shelter to keep warm and dry throughout the night! Largo is also now part of the Microchip gang following a visit from the vet this week. 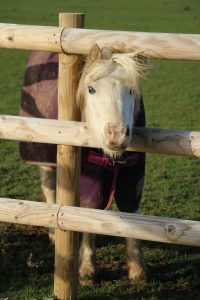 The new law in place means every equine requires a microchip for identification purposes. Welfare staff are happy to report Largo’s weight is good and he is now receiving 3 meals a day in order to keep it that way. He has moved to a large winter paddock with his friends with a large shelter to keep them warm at night. Largo is making all the horses jealous as he is now having a meal at breakfast, lunch and tea time. He is so pleased with that he runs across the field when staff bring it so he doesn’t have to share with anyone! 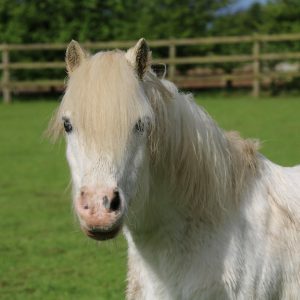 He has a fibre feed which he can digest better and will help keep him fuller for longer. He too has joined the rug club, and is sporting a vibrant purple number which he is very impressed with. Largo was so well behaved for his saliva test this month, testing for tape worm. He got some extra cuddles and treats for being so good and setting an example to some of those who are not so keen to cooperate. He, like many of his adoption pals, has been having a rain sheet on at night to help keep him warm now the nights are cooler. Largo is looking forward to going to his new winter field with his friends where there is long grass waiting for them to enjoy. Largo is enjoying life with his fellow ‘non-fibre diet’ friends, they are all getting along really well and enjoying the attention from the summer holiday visitors. He has started to have a feed once a day now in order to maintain his good condition going into winter. As it has been so hot, the grass hasn’t grown as much this summer so he has lost a little weight. 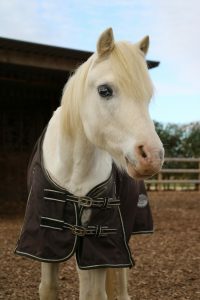 Now the cooler evenings are starting, he is also wrapped up at night with a lightweight rug to make sure he is warm enough. 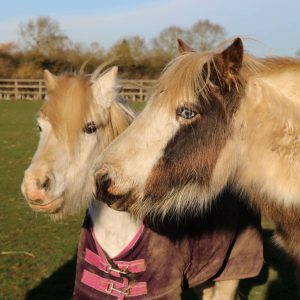 Largo is now living with other Shetlands and his friend Marble who all have similar dietary needs as his own, so he isn’t feeling so ‘odd one out’ anymore. 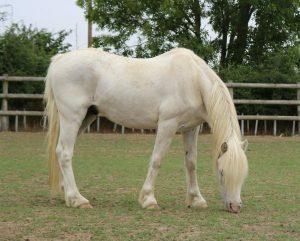 His summer coat is looking great and because of the hot weather limiting the amount of mud, is still very white! His condition is also still good and staff are working hard on keeping it that way. 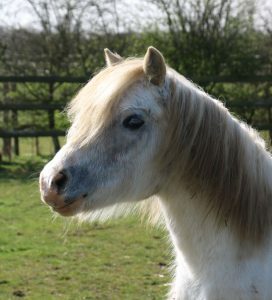 Largo’s field mate, Master Imp, left last week to go to his new home and he was greatly missed by Largo at the beginning. Largo has since settled and is now happily playing with the rest of the herd. Largo also had a visit from someone from the well-known feed company, TopSpec, while they were here doing training with staff. They were very impressed with his condition considering his dietary requirements which staff and Largo were very proud of. Largo’s mud fever is now all clear and doesn’t need any further treatment. Largo has a few new friends in his field that also can’t digest hay, at first, he was a little unsure of his new friends but he has soon grown to love them and they are all getting on very well. He has also got used to sharing with them! Largo has now returned to the Visitor Centre from Walklands Farm where he has been living for the winter. He is now living with the ‘no forage’ ponies and is happy to be seeing visitors again! Due to the wet weather he had been suffering with a bit of mud fever. 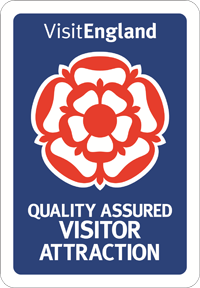 Staff have been treating it and it has cleared up nicely. Largo is still living at Walklands Farm with his best friend Marble. 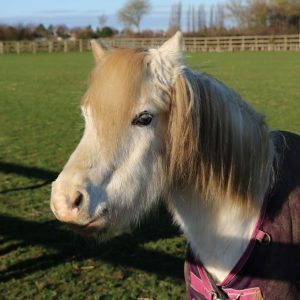 His weight is being managed well on his adapted diet and he has maintained his weight throughout the winter which the staff are pleased to see. 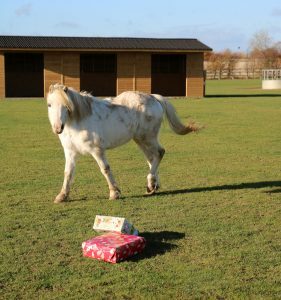 Largo loved playing in the snow when it arrived and soon realised rolling in the mud was just as fun when the snow disappeared!